Behind every great company, there is a great team. And behind the scenes at Henry & James, two key people standout. Most of our clients don’t know they exist. Some of our suppliers might not know them either, but they are the vital cogs that keep the wheels turning at Henry & James. They look after everything from paying landlords on time to arranging new sales instructions. Meet Hannah Wilson, who joined Henry & James in August 2013 after completing a degree in economics at Reading University. “It was my first interview for my first job, but after an hour, I was offered the position of Sales and Lettings Administrator,” explains Hannah. The talented graduate rose through the ranks to become the PA to James Bailey (Chief Executive). There is no one more efficient than Hannah. She spends most of her time managing the company’s marketing on and off-line, new instructions or renewals for both sales and lettings. 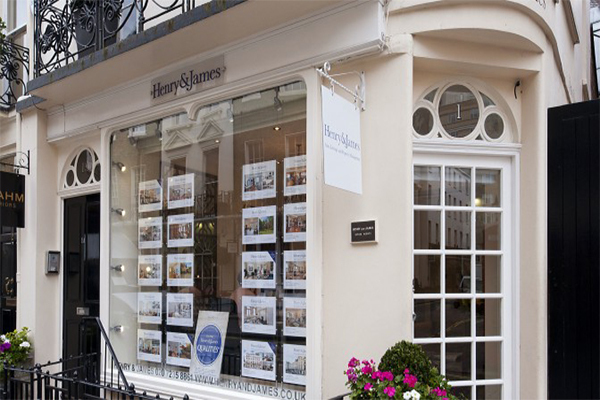 Some clients have bought or sold through Henry & James for more than 15 years, and Hannah knows many of them. Although her economics degrees has come in useful over the past two years with insights on Brexit and market movements, Hannah has recently passed her ARLA (Association of Residential Lettings Agents) exams. Henry & James takes training very seriously. Ensuring staff at all levels are up to date with the latest legislation or the best practice in the property industry. None more so than in the field of accountancy. Saqib Usman joined Henry & James as a Management Account in 2009, then was promoted to Financial Controller in 2011. Meeting him for the first time, it’s clear that he knows his numbers. He is a fully-qualified accountant and manages the company’s book keeping, streamlining the process to ensure landlords are paid promptly and the company is always on time with its financial commitments. “Some people prefer traditional accounting methods, but I have moved with the times, harnessing the power of the digital age, embracing modern technology. It’s a unique approach,” he explains. Saqib has always had a passion for figures. As a child, he would write his times tables on his bedroom wall. Accountancy was always the obvious route for him in life. Someone famous once said: “Find a job you love and you’ll never work a day in your life”. That is certainly true about Saqib. His eyes light up when talking about maths, but if he wasn’t an accountant, what would he do? So why should clients choose Henry & James? “We are known for being approachable, our professionalism and local expertise,” he says. Hannah and Saqib both agree on one thing: they are proud to be part of family-run business, who go above and beyond in Belgravia.